we’ll sing another song at the end. I felt rejuvenated soon after drinking such a bottle of nutritional drink. In fact, we’re on that kind of terms? Lol. 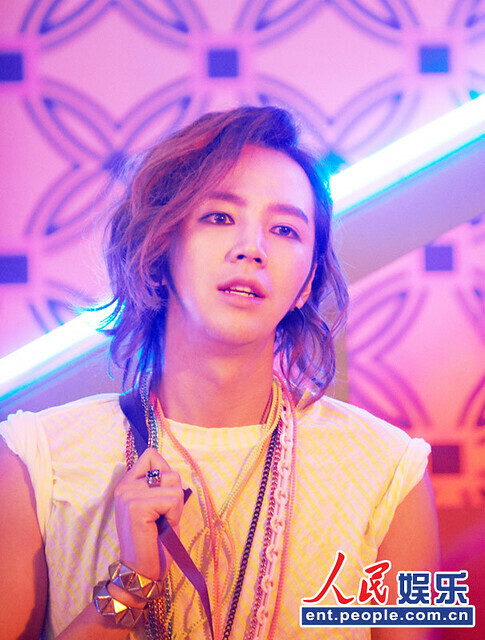 JKS: We tried to have fun with everybody at the venue. I think we did it with fans. JKS: Thanks for today. I’m too tired that there is no power left to drink. JKS: Wait a second. Lastly, let’s hug each other once in a super cool way. Good night!! Today’s H-Film is more normal than usual. This was filmed when I was Prince. at a huge arena, at Team H party. 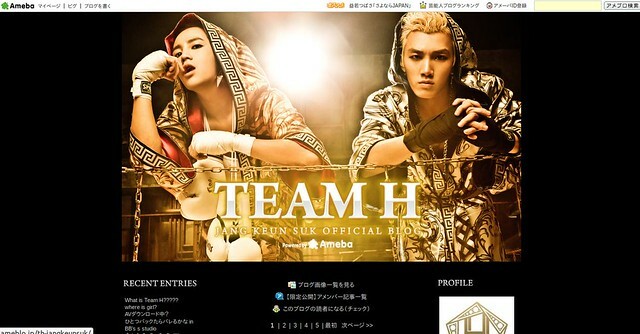 Team H party will start this week in Hiroshima. I’ll show you a really odd Team H video! At present, BIG BROTHER just holds Japanese vocabulary lists and pretends as if he were reading. On the other hand, look how marvelous your Boss’s speaking skill is!! JKS: Did you have fun, everybody? Did you have fun, you upstairs? Are you sure? Did you have fun, you at the back? I feel so good, too. How about you, Big Brother? 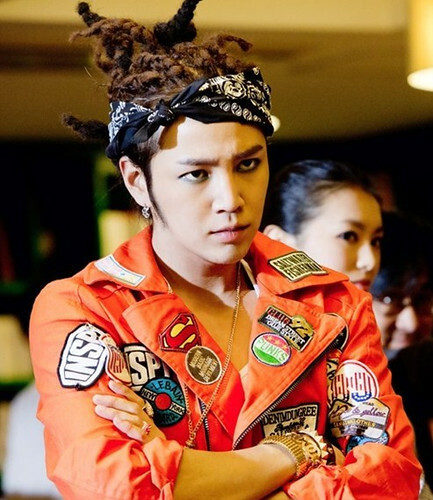 JKS: Hey, don’t pronounce Saikou, but Pshyco. JKS: Yeah, Tokyo is great [Pshyco]! Eels, you’re great, too! One H-Film is planned to be released every day!! From today much wilder videos will be released. 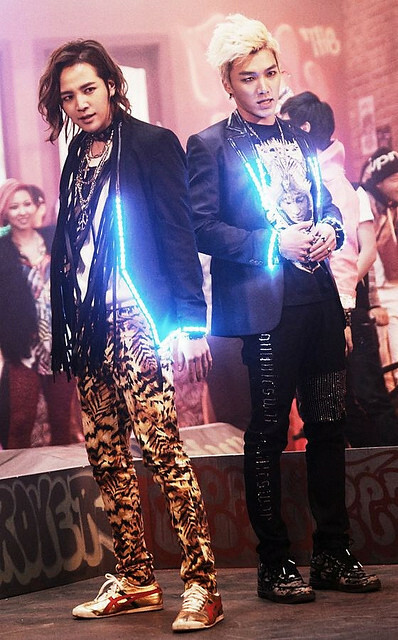 kkkkk But, this is Team H!!!!!! I give you homework today as well!! Look for the meaning of ‘H’!!! 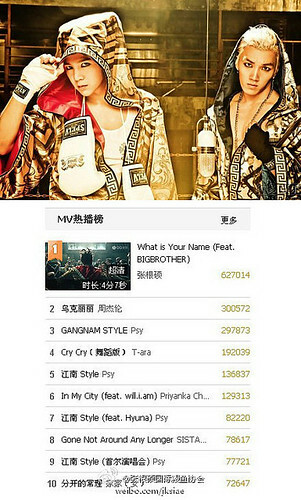 Team H’s new MV “What Is Your Name” first revealed the full MV on Feb 01, now is No.1 Hot Playing MV on QQ Music. Jang Keun Suk Shanghai Concert Tickets are now accepting preorder on Damai website. We suggest you to got Damai to purchase the tickets. You can choose your seat on line on Damai website. The early paid people, after Damai issue the tickets, you can choose your seat early, so please don’t wait for group order from Sukbar. Sukbar haven’t got notice about group order from agent company, so we are not doing group order right now. Also the tickets from group order, you can not choose seats on line, we only can guarantee you for the tickets but not good seating. So if you want to have good seats please consider carefully to join the group order through Sukbar. When you order your tickets, please make sure it is from Damai official website, or through fan clubs which have assigned by the agent company. All the Jang Keun Suk Shanghai concerts tickets won’t use private email/message (such weibo, baidu, QQ QQ chat, mobile phone etc) to sell tickets. So please becareful and do not believe these kind of selling scheme with wiring money. They might be fraud. 2013, “Asia Prince” Jang Keun Suk’s Grand Asia Agent Company HS Media and Ocean Butterfliers Music are working together. They just announced Feb 2013 will first time release Jang Keun Suk’s Korean Full album “I JUST WANNA HAVE FUN” in China. The strong joining of Ocean Butterflies Music gives real meaning that Jang Keun Suk’s music work will be released in Asia simultaneously. So Chinese fans will hear the album at the same time with other Asian countries, even have the chance to hear some the music or see the MV from Jang Keun Suk’s first full Korean album in advance.